We also offer spray tanning using Aviva Labs technology and products from the USA.�First treatment deal 125 shekels only! Follow us on�Facebook��for more information regarding the cosmetics treatments. See our nail designs on FB as well. Go to our website for prices and services! 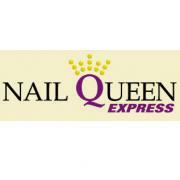 We use OPI, IBD, CND Shellac and products,CUCCIO Naturale for our manicure and pedicure treatments. Talk to us about our bridal packages and bat mitzvah packages! !